Homedica offers palliative care to patients in the comfort and safety of their own homes. 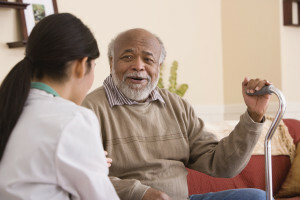 Palliative care is beneficial for patients who have limited mobility or simply need the additional palliative support Homedica offers so they can continue chemotherapy, radiation, or dialysis as comfortably as possible. Oftentimes, side effects of medical treatments can cause a variety of physical, as well as psychological symptoms. Palliative care focuses on preventing or easing pain, stress and suffering to offer the best quality of life possible to both the patient and family. Palliative care is beneficial at any stage of illness because it complements treatments, which are meant to cure the patient. Patients receive highly personalized medical care from a team comprised of Board Certified Physicians, as well as state-licensed nurse practitioners who are experienced in palliative care. Homedica Palliative Care providers serve as an extension of the patient’s primary care doctor or treating specialist in order to quickly meet the patient’s comfort needs and help improve quality of life. Our palliative care providers work in conjunction with other physicians to add an additional layer of support for both the patient and family. Homedica Palliative Care has a unique niche in the evolving trend to shift medical care from hospitals to the community. The objectives are to improve patient’s quality of life and treatment compliance, while reducing hospital readmissions and ER visits. These objectives are congruent with those of the overburdened Medicare System. In-home palliative care also decreases the time and frustration consumers experience because of mobility issues. Most importantly, Homedica Palliative Care offers comfort and confidence that result from individualized care that is tailored to the patient’s goals.